It is so nice to be back here on the Scrappin' Patch blog with a couple of layouts using the new Prima range - Hello Pastel. I was so lucky enough to be able to attend the SP Autumn Retreat at Glentui a couple of weeks ago and had an absolute blast. It was so nice to put names to faces who I have spent time chatting to online and catching up with past design team members and Adrienne as well. This was such a lovely and inviting event - everyone was so friendly and the food was well to die for! If you are considering attending a retreat and thinking about it then I would totally recommend coming along in September! I know bookings are coming in thick in fast so get onto it and secure your spot! Right back to the pretty papers! 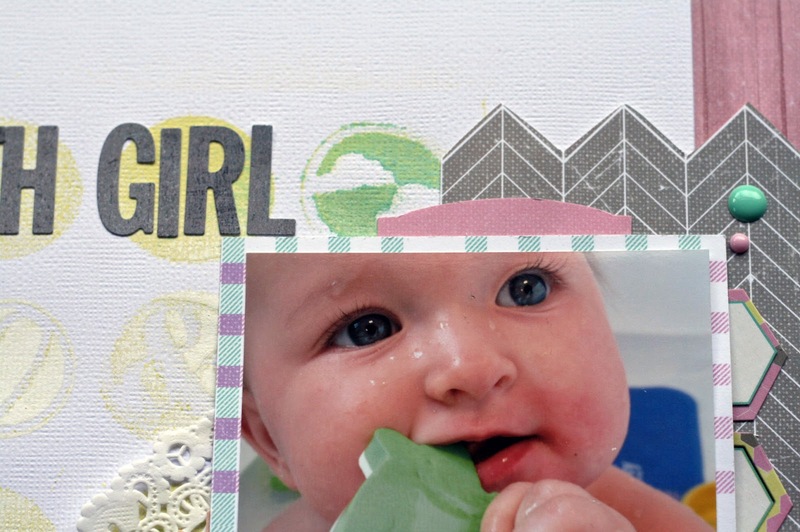 My first layout is about my baby girl turning one! The Hello Pastel papers worked so perfect for pretty girly pages and I just loved the pops of almost neon colour with the neutral grey. I first sprayed my white card stock with Mister Huey's sprays Taxi and Mint Julep using my new Mister Huey's Chevron Mask. I mixed up the patterned papers with stickers from the journalling sticker sheet to create lots of little embellishments on my page. The other stickers are from my stash but were from Amy Tangerine's Remarks sticker book. My second layout using the Hello Pastel range makes use of the Parfait paper that has lots of little elements which are perfect for cutting out and using up as embellishments which is a really cost effective way of layering and embellishing your pages. On my "Happy Bath Girl" layout I first misted a Mister Huey mask with Taxi, Mint Julep and White mists. I then added patterned papers to the right side of my photo, added a doily and then started to add the stickers from either the journalling sticker sheet or the little cut out elements from the Parfait Paper (HELLO, BEAUTIFUL). Lastly to add balance to my layout I added a little cluster to the top left of my layout. You can see how I have added another layout to my HELLO and BEAUTIFUL by adding little banners from the same Parfait paper. 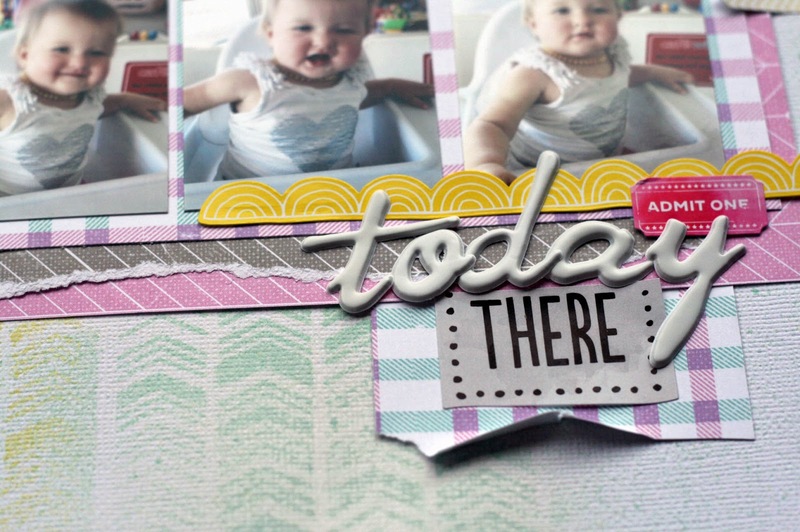 Thanks for stopping by the blog today and hope you have been inspired to create some layouts using this gorgeous Prima range. I will be teaching at the next SP retreat so if you are interested in learning more about layering up your embellishments and masking with mists and texture paste be sure to watch out for my class! Wonderful projects. They are both so beautiful. Oh yum! Those are gorgeous, I love the colours of the papers.